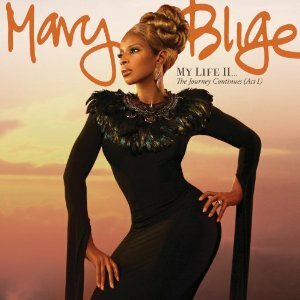 Mary J. Blige’s new album, “My Life II: The Journey Continues, Act 1,” is due November 21. The set features guest appearances by Beyonce, Nas and Rick Ross, and the deluxe version adds a track with Lil' Wayne and Diddy. Blige has just issued the video for the track “25/8,” and has offered up some behind the scenes footage of the making of the video, as well. Mary will be featured on VH1 Divas this December, with an all-star cast that includes Kelly Clarkson, Jennifer Hudson, Jill Scott, Florence + The Machine and Jessie J. "VH1 Divas Celebrates Soul" happens at New York City's Hammerstein Ballroom and premieres Monday, December 19 at 9 PM ET/PT on VH1. "My Life II: The Journey Continues, Act 1"